Today we will be taking a look at the GRAMR Mechanical keyboard from the folks over at Drevo. 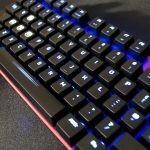 Now, Drevo was not a company I had heard of prior to this review and that’s great! I’m really not one of those fanboys that think there should only be a couple players in the game, I like seeing smaller and new companies step up to the plate. Especially when they have some decent products on deck. 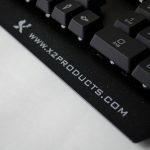 Drevo currently stocks a couple of mechanical keyboards and even some SSDs over on their site. 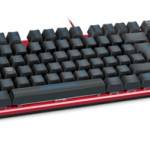 Looking at the keyboards on the Drevo site and you will notice they are not your run of the mill standard boards. Drevo has gone into more niche type keyboards. Something that may pay off for them in the long run! 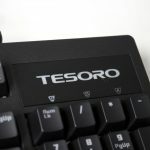 The GRAMR Mechanical Keyboard we are looking at today features OUTEMU switches and while our board came with blue switches, it does also come in black, red and brown variants so there is something for everyone. While I do love a good blue switch, the OUTEMU variants are some of the loudest I have ever heard. 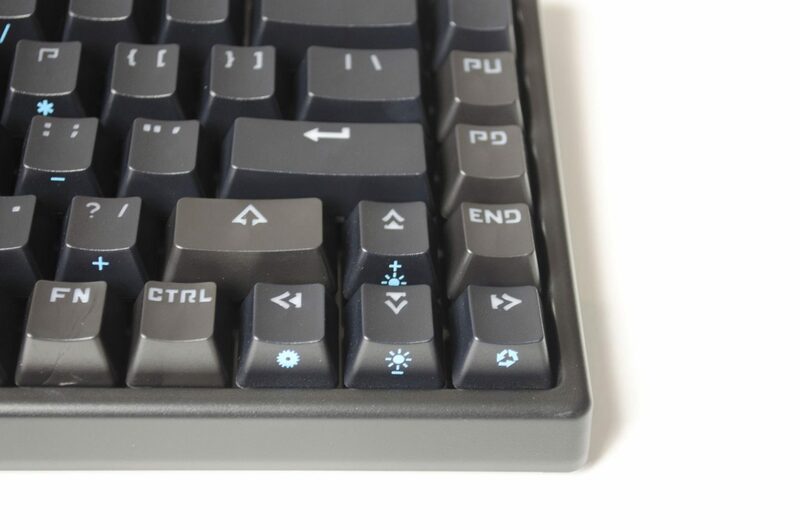 The GRAMR features an 84-key layout and is a TKL (TenKeyLess) keyboard. It also comes with white backlighting and some nice features. 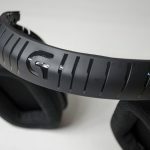 Why don’t we have a quick peek at the specifications and then get into the closer look section of this review! It comes in a quite a minimalist looking box. 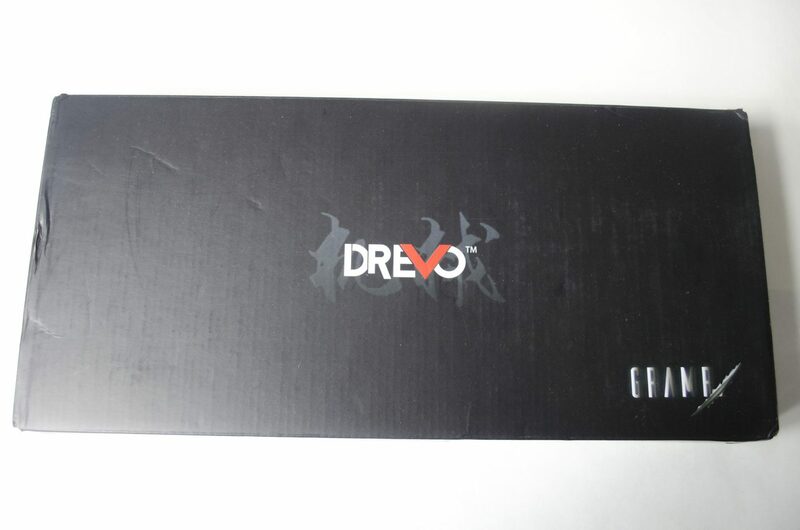 Aside from the DREVO and GRAMR writing, the box is completely black. Inside the box, along with the keyboard are a keycap puller, the USB cable, a shield for the USB cable and a pair of cool looking stickers. As this is not a full-size keyboard, Drevo has decided to make good use of the FN key and double up on what some of the keys can do. 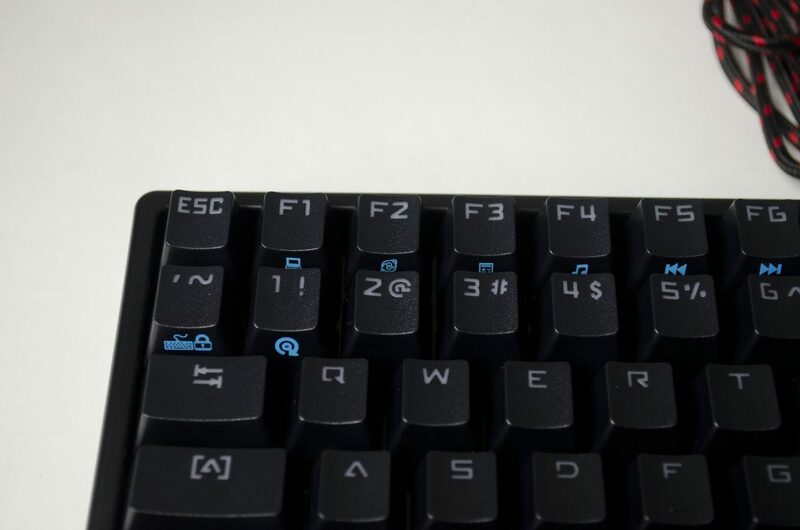 All of the F1-F12 keys have a secondary function and as you can see, some of the other keys do as well. 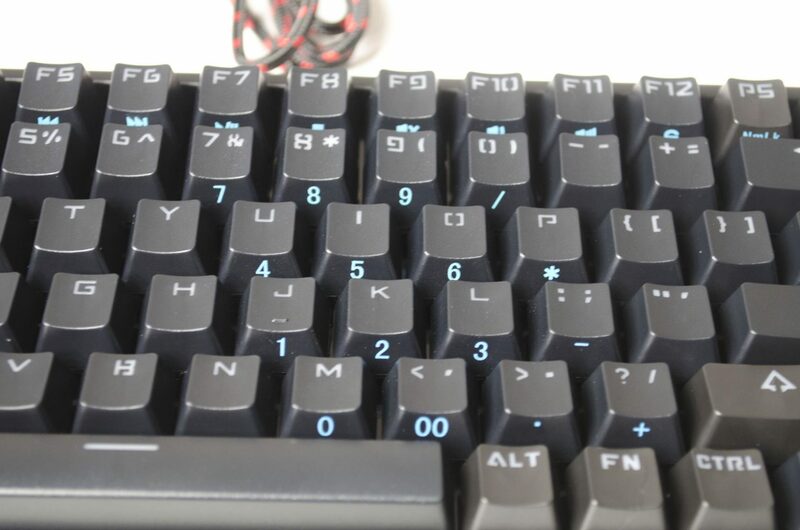 As this is a TKL keyboard, it does not have a num-pad. However, Drevo has gone and added in some number keys that can be used in the FN + Num LK mode for those of us who live for these keys. Well played Drevo! 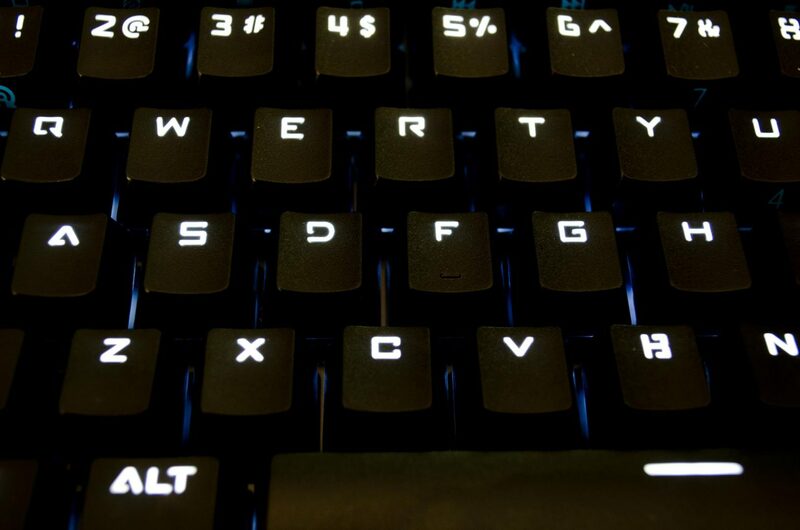 The cool thing about these is that you don’t have to hold the FN key, you simply tap it and the Num LK key once and it enters Num LK mode then you can use any of these keys. The only downside is that you would have to hit the FN + Num LK key a second time to go back to using the keyboard as normal. As you can see, there is a load of keys that have the secondary blue FN functions available. This is a great addition to a very compact keyboard. 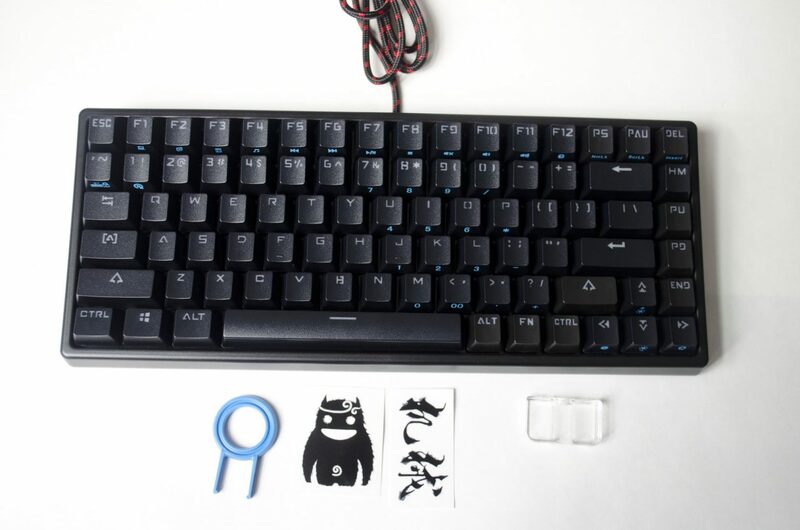 The keyboard is all black and features PBT keycaps with Cherry like stems so those looking to change out keycaps can do so with ease. On the underside, things are fairly plain and simple. There are two feet that can be used to offer ergonomics as well as 4x non-slip pads to help keep the GRAMR in place. 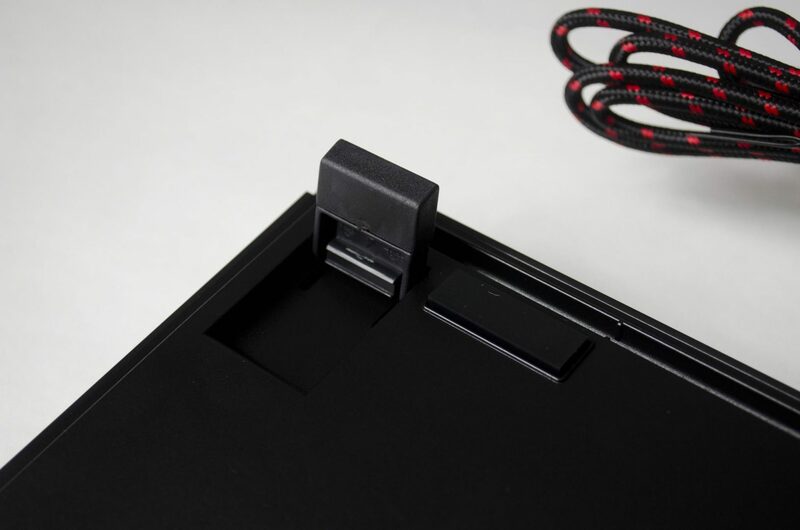 You will also notice that where the USB cable plugs into the keyboard, there is a small clear plastic cover for added protection. Flipping the feet up generally offers a better typing experience and is something I would imagine most users have become accustomed to over the years. 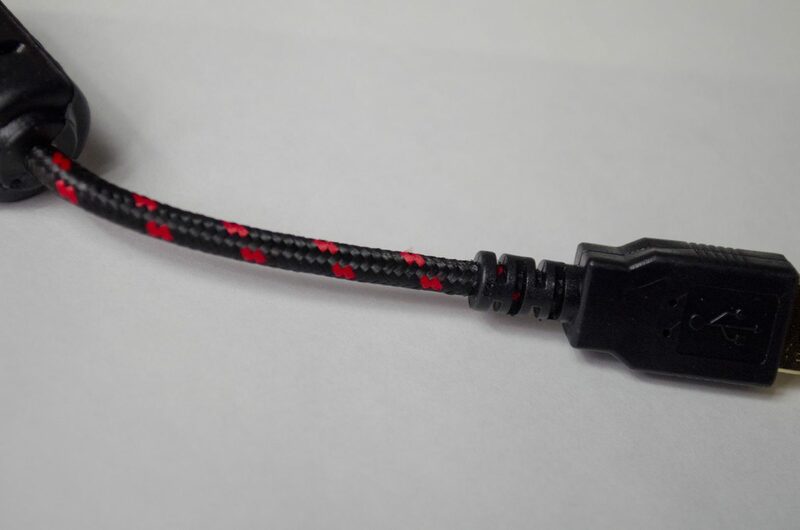 The USB cable is even braided and features a black and red design to it. Not only do braided cables offer a more pleasing aesthetic, they are also more durable and add an extra level of protection to the cable. The GRAMR features OUTEMU switches and is available in blue, black, brown and red variants. As you can see we have the blue switches which offer a very clicky feel and are really quite noisy, which may or may not be to everyone’s liking. The GRAMR also features some white backlighting that does have a few different modes. For user’s looking to make the most of this, there are Snake Marquee, full light and reactive modes that can easily be switched between right on the keyboard. It is still nice to not see a keyboard covered in RGB LEDs. While I do like RGB, sometimes a subtle white backlighting does the trick and looks amazing. It really shows that Drevo put a lot of time and thought into designing this keyboard. After a good few weeks using the Drevo GRAMR, I am ready to wrap things up! 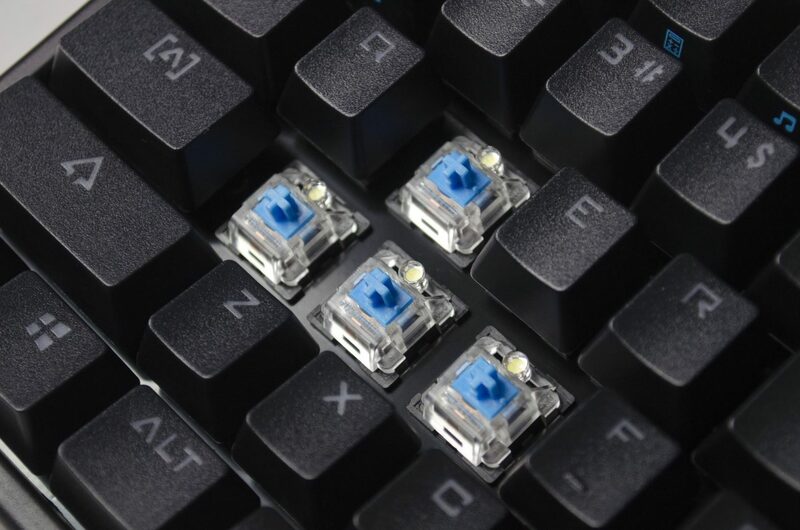 While I am personally not a fan of the OUTEMU blue switches due to how loud they are, I will not hold this against the GRAMR. 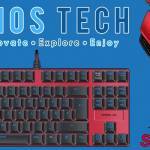 Drevo has done a great job at creating a compact mechanical keyboard at a great price that offers amazing functionality. Drevo’s efforts have really shined through here and all I can say is I hope to see more from them and they keep the forward momentum going. From LAN parties to being a daily driver, the Drevo GRAMR can and wants to do it all for you. 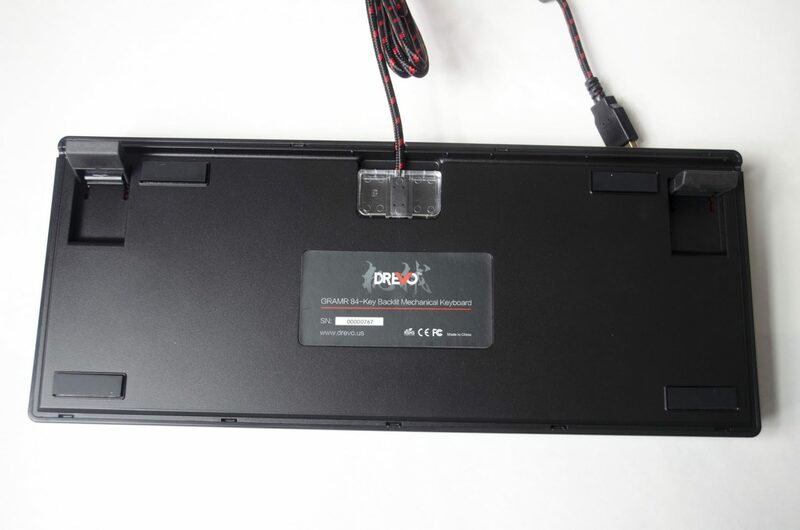 A lot of the performance of mechanical keyboards is very subjective due to the switch used. Most people have a favourite switch and aren’t too interested in trying or using other switches. 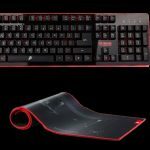 However, what is not subjective is the functionality Drevo have added to their GRAMR that makes it a great all-around performer. 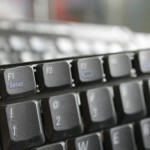 The inclusion of so many secondary FN keys around the keyboard, especially the num-pad is outstanding. The compact size also does not present any issues when it comes to typing or gaming on the GRAMR. While I am not a fan of the blue OUTEMU switches due to the noise they make, they still offer great performance. They are a clicky switch and register just as one would hope thanks to their 30g actuation. I can not fault these switches at all, except for the noise the produce but at the end of the day, they are meant to so I can’t hold it against them. For users who aren’t a fan of the noisy blues, the GRAMR does also come in black, brown and red switches which may be more up your alley. Back to the FN keys and there are so many extra things to do with them. From the num-pad to being able to complete lock the keyboard and control the lighting, Drevo surely went out of their way to make sure the GRAMR had every feature it would need. I liked being able to enter the Num LK mode without having to hold any keys, the only downside as mentioned was having to hit FN + Num LK again to be able to use the keyboard as normal. While there is no denying that its compact nature won’t be for all, there is also no denying that some will love it. 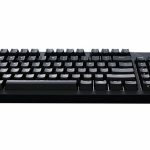 For those looking for a spare keyboard, something to take to LAN or just something smaller than normal that still offers most of the features a full-sized keyboard has, the GRAMR will be great. 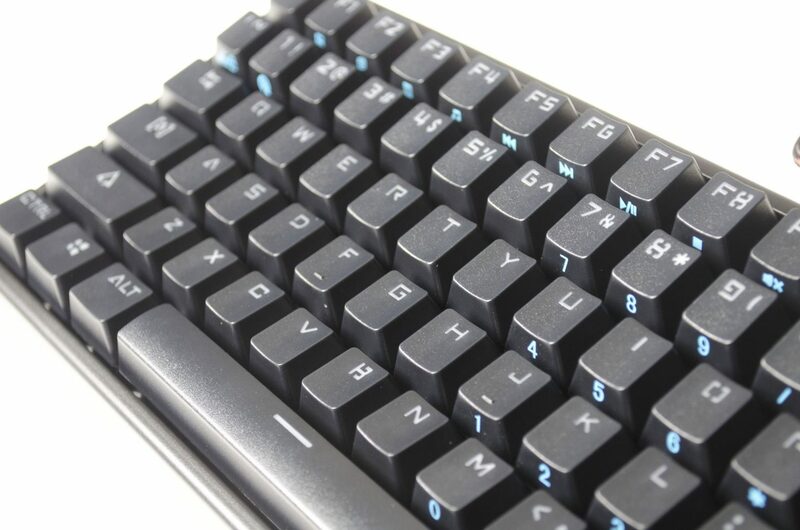 While it is small in nature, it is packed full of secondary FN keys that make sure you can get the most out of it. I’ve always been a bigger is better type of guy, but mechanical keyboards like this could have me changing my mind soon. While this is a TKL keyboard, it is not your average TKL and the extra compact nature is nice to see. Going for the Trifecta, the Drevo GRAMR is a pretty cheap mechanical keyboard. In fact, it is one of the cheapest ones I have ever had the opportunity of testing out. Coming in at £48 on Amazon UK, this is a great step into the mechanical keyboard world. 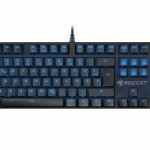 For the money, you are getting a great performing keyboard that has some great onboard options and performs well. Also, let’s not forget that it does come in different colour switches so there should be something out there for most users. The simplicity of the white only backlighting has no doubt allowed Drevo to keep prices down while still offering a great looking backlit keyboard. 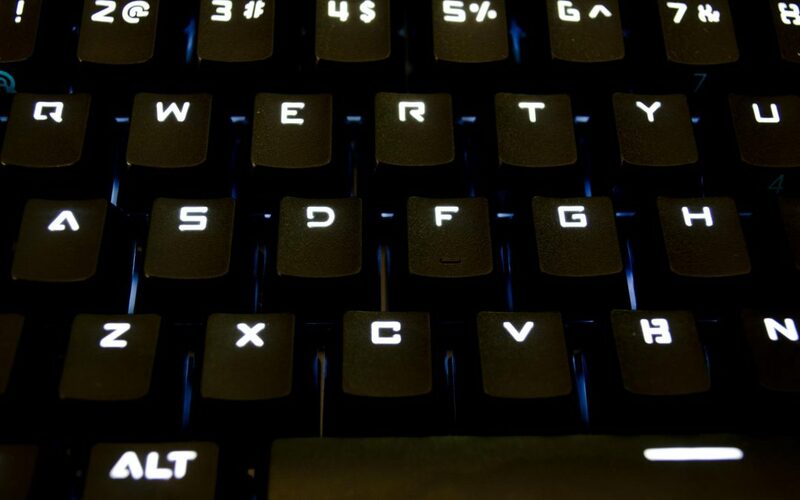 Many thanks to Drevo for sending in their Gramr Mechanical Keyboard for this review. 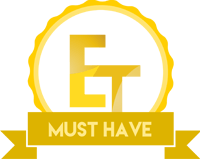 Want to discuss this review further, head on over to the Drevo GRAMR thread, in the Enos Tech Reviews Sub-category on the Gaming Exodus forums!